The PEARL laser treatment is a fractional laser resurfacing that is a safe and effective treatment for lines, wrinkles, and uneven skin texture. 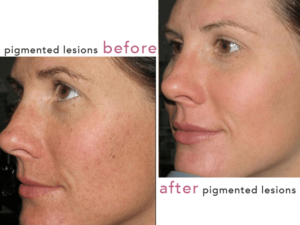 Fractional laser resurfacing allows me to provide a more comprehensive treatment for my patients, and that means better results and a more rejuvenated appearance. The Pearl Fractional laser allows me to treat the undesirable textural changes of facial aging that are not adequately addressed with cosmetic surgery, neurotoxins (Botox), or fillers – especially those areas around the eyes and mouth. The result is a smoother and tighter skin surface with lasting results.